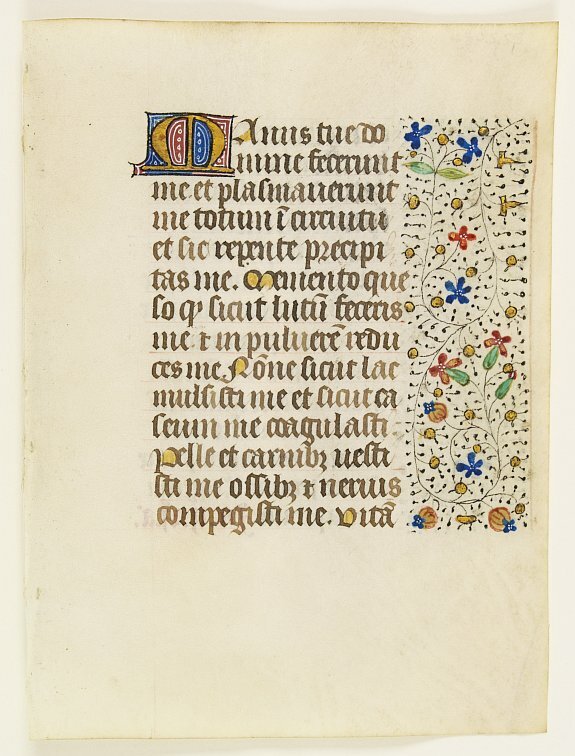 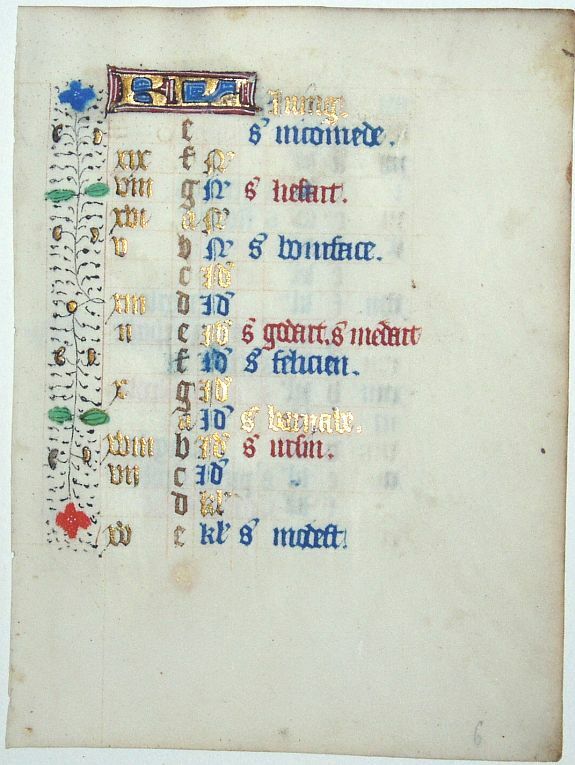 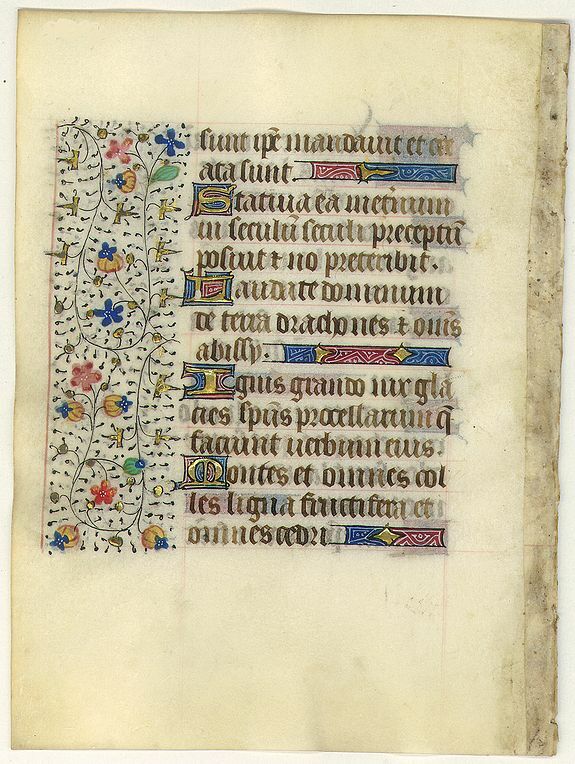 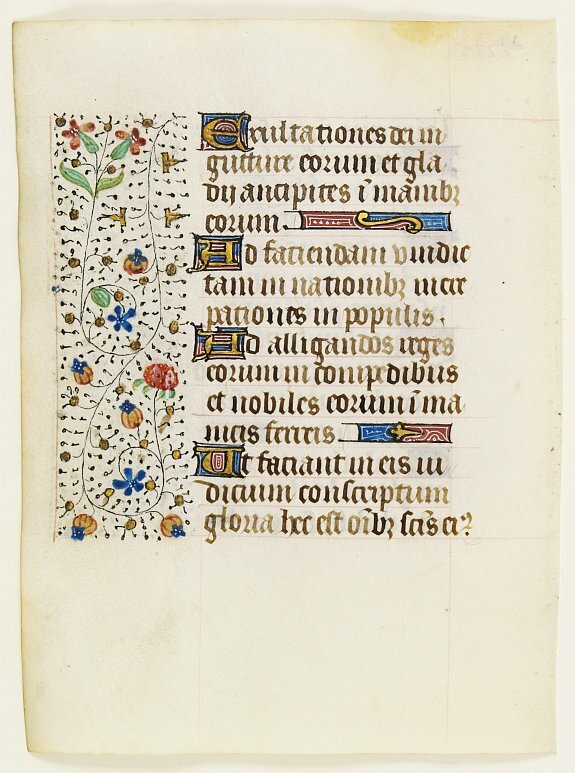 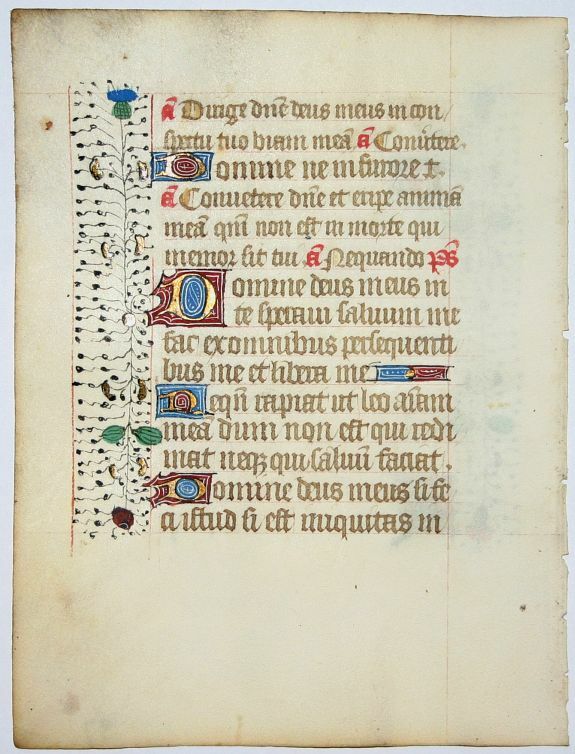 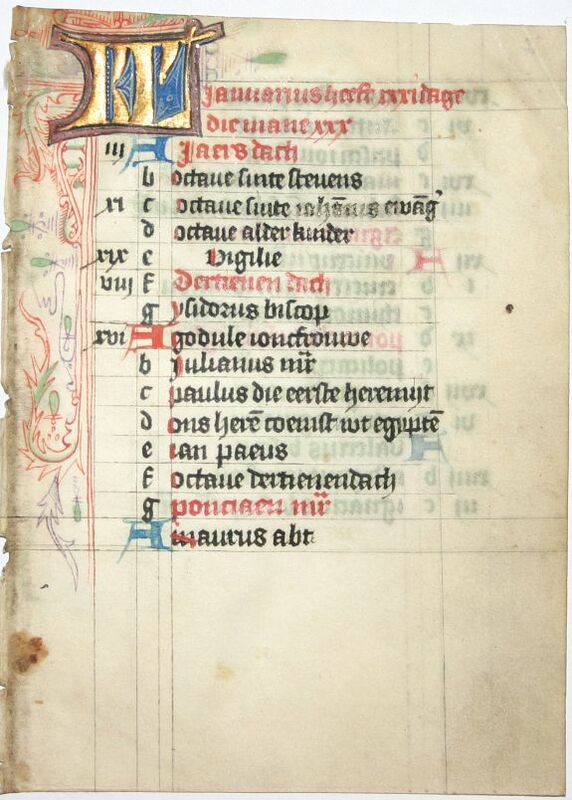 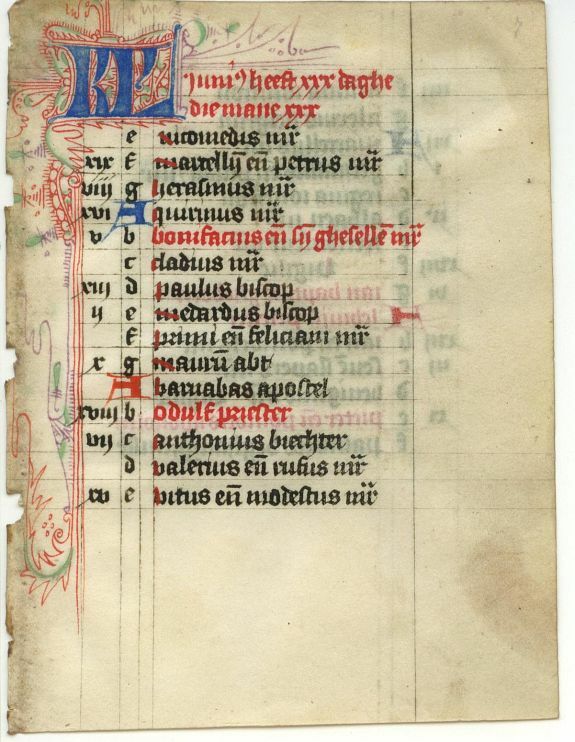 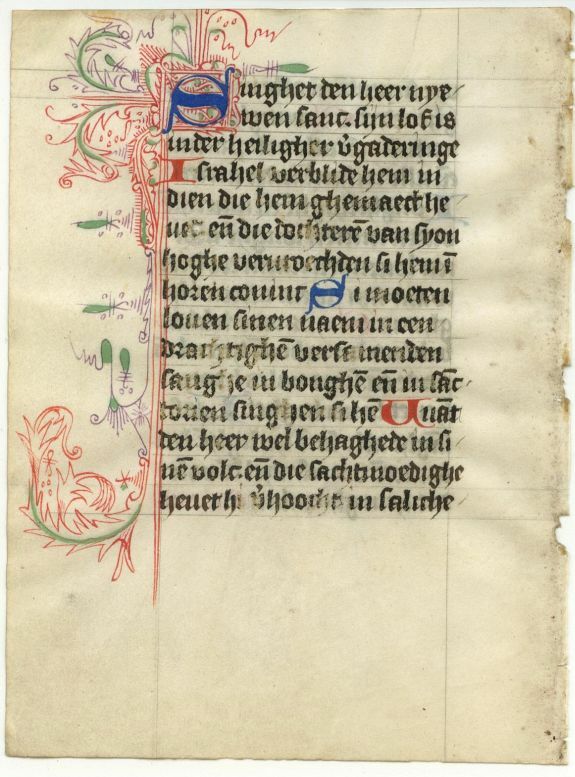 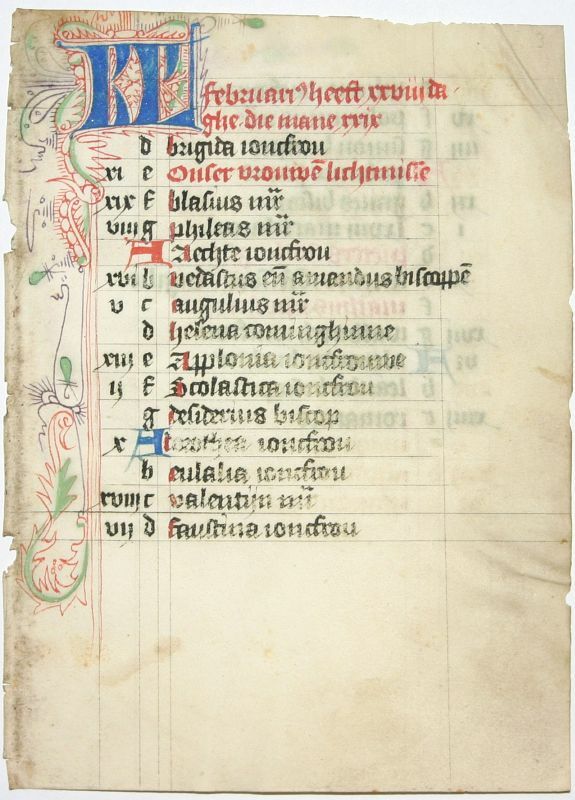 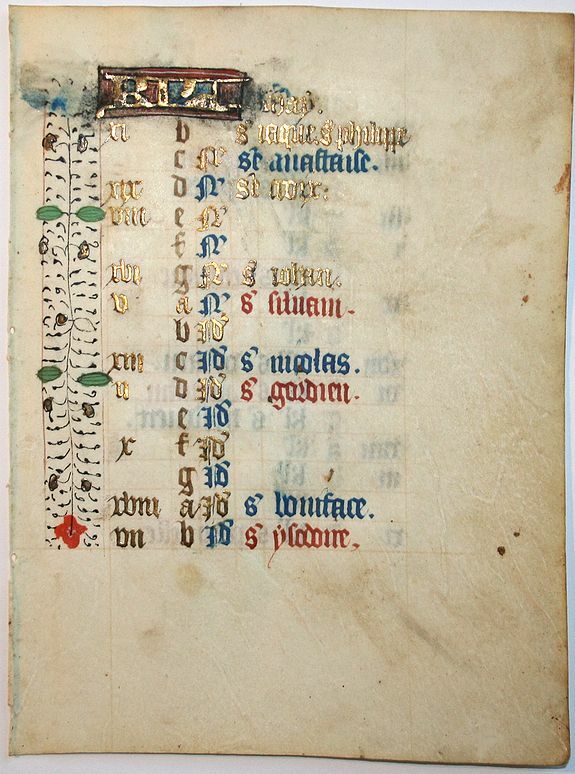 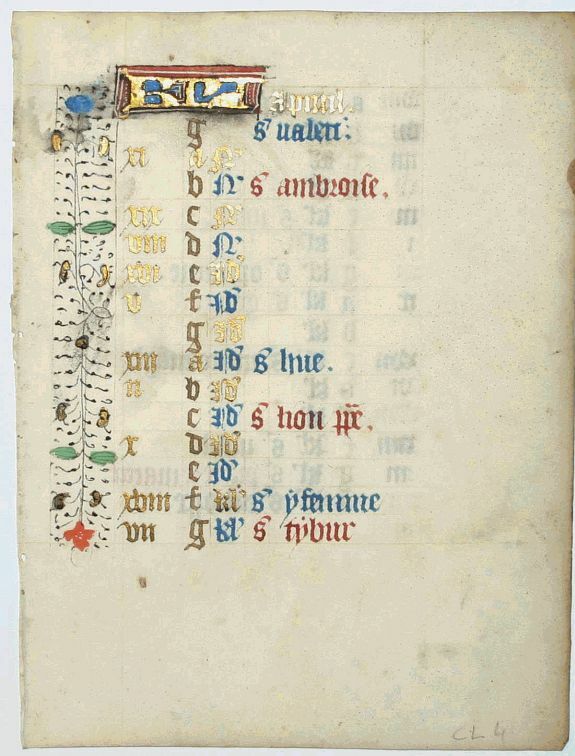 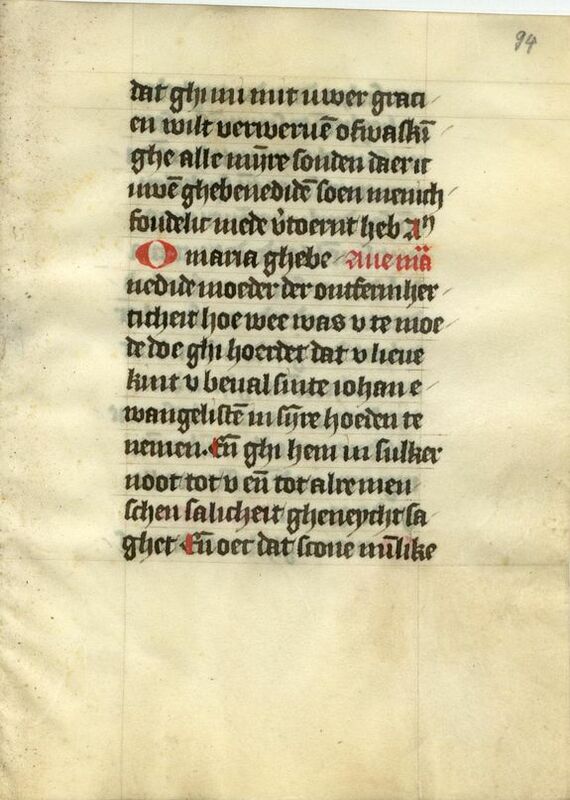 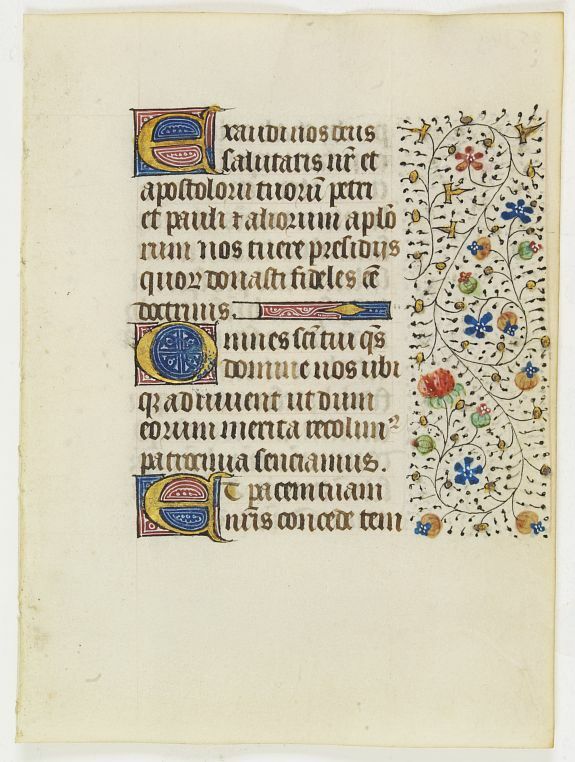 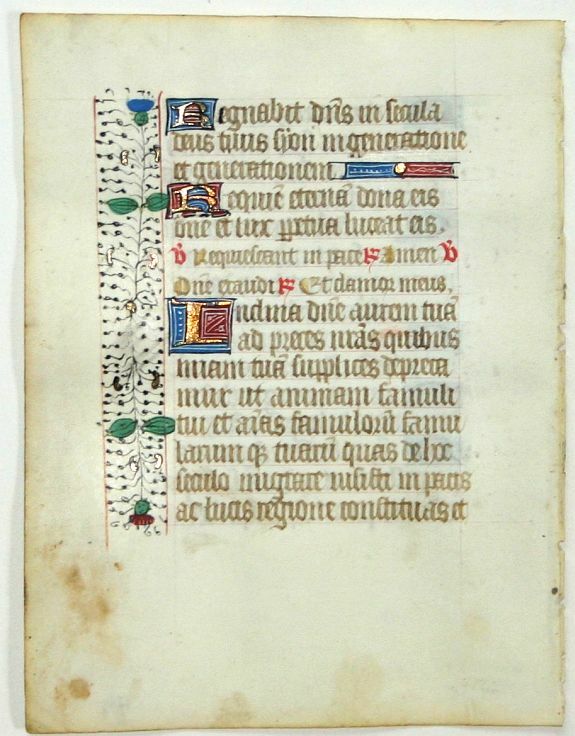 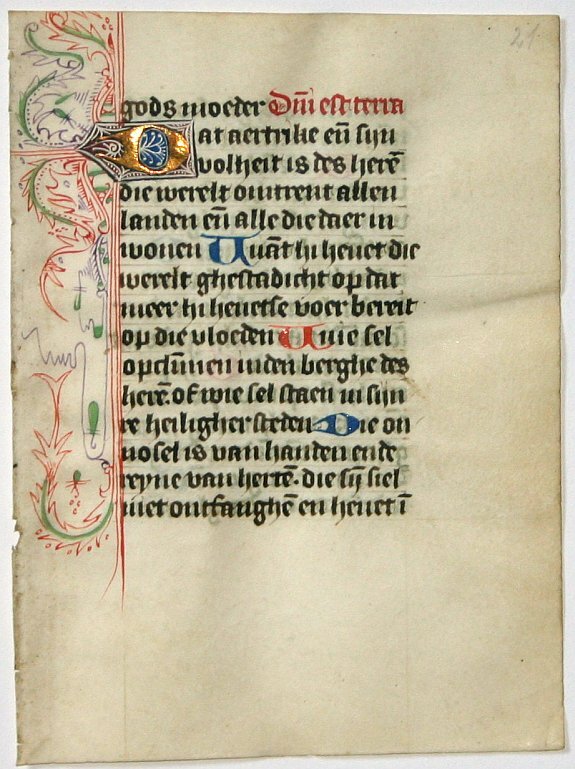 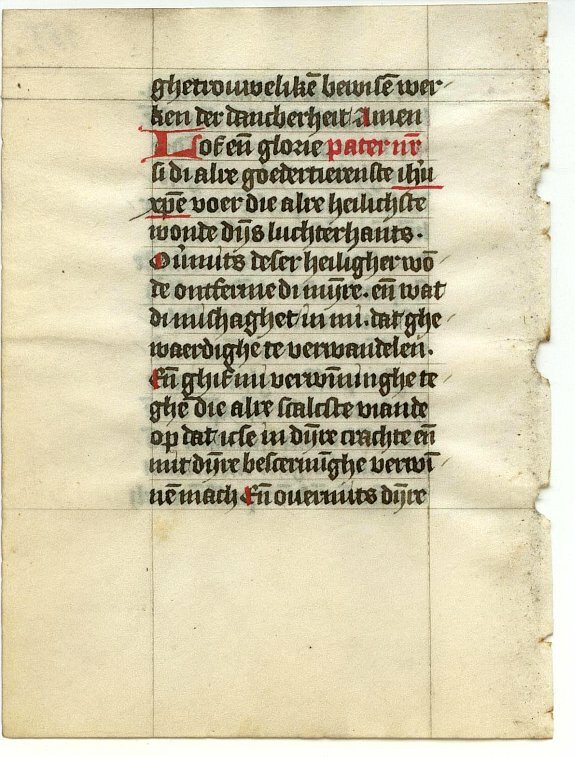 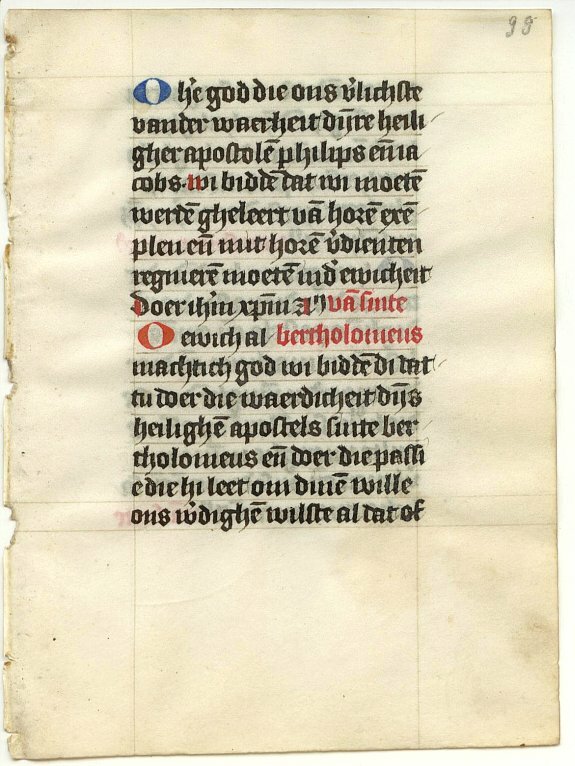 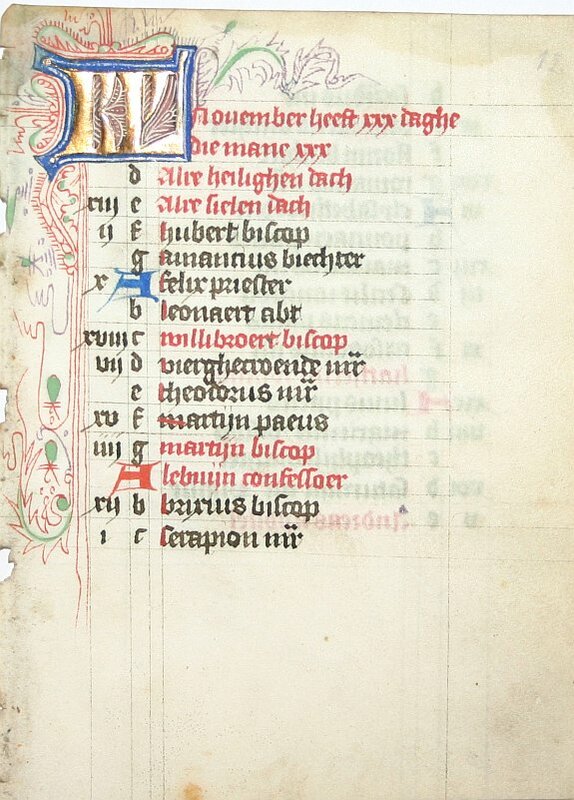 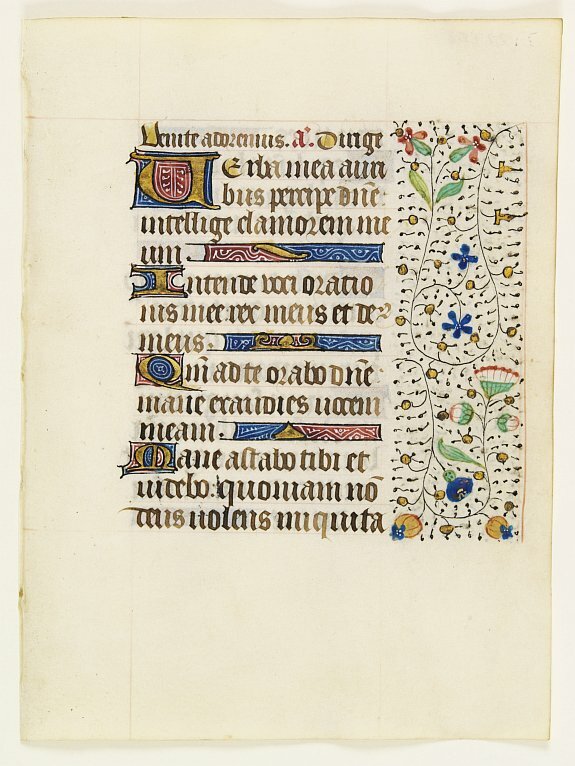 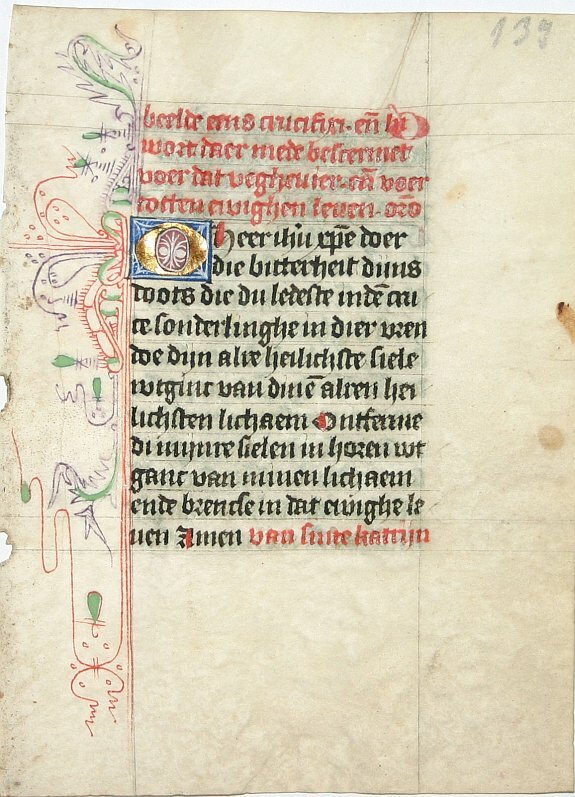 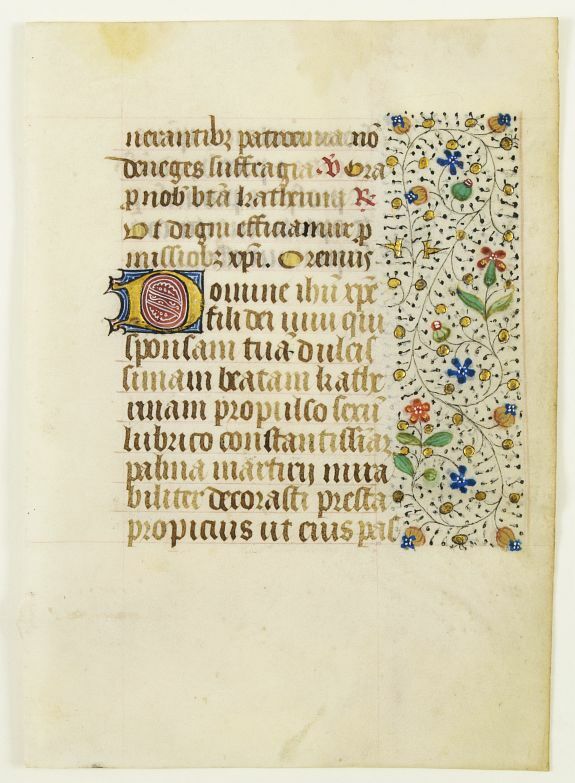 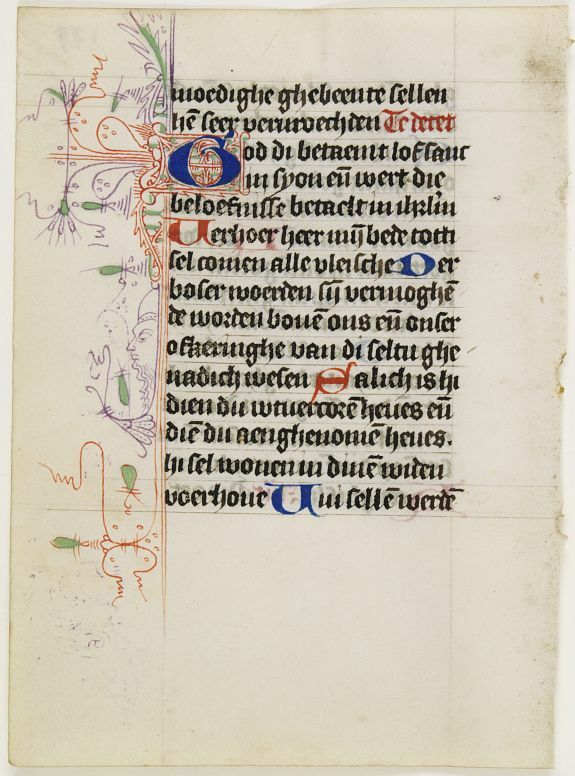 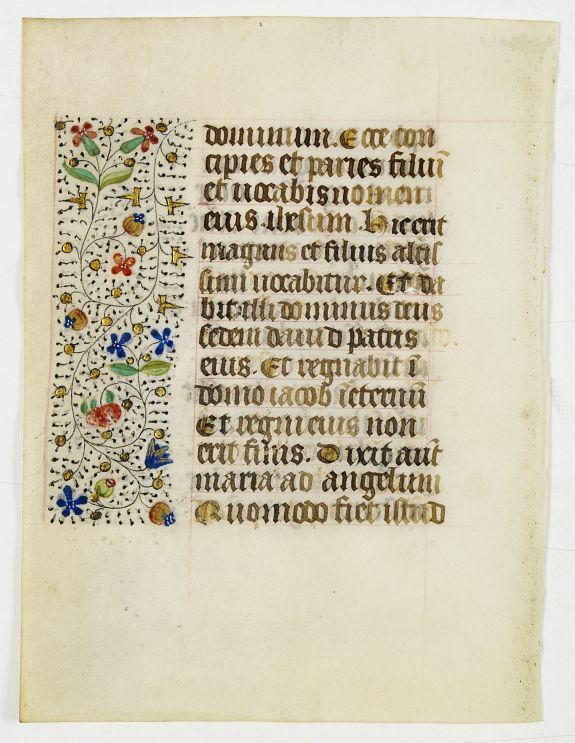 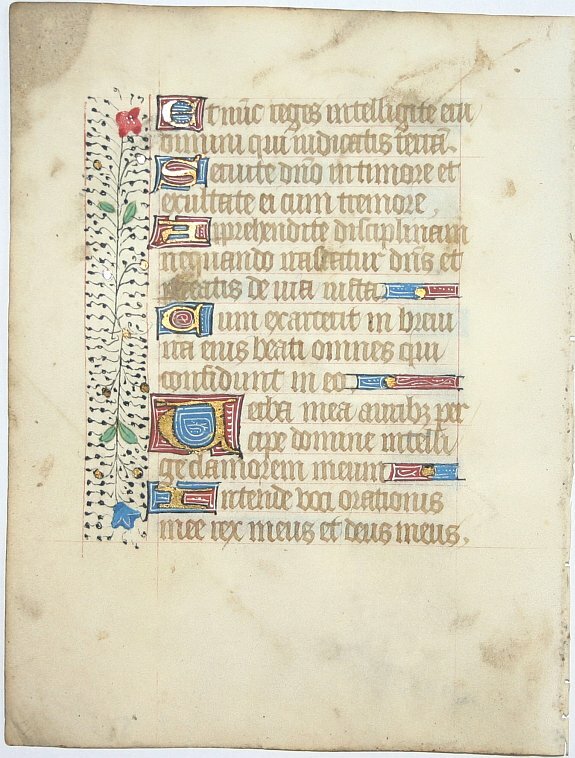 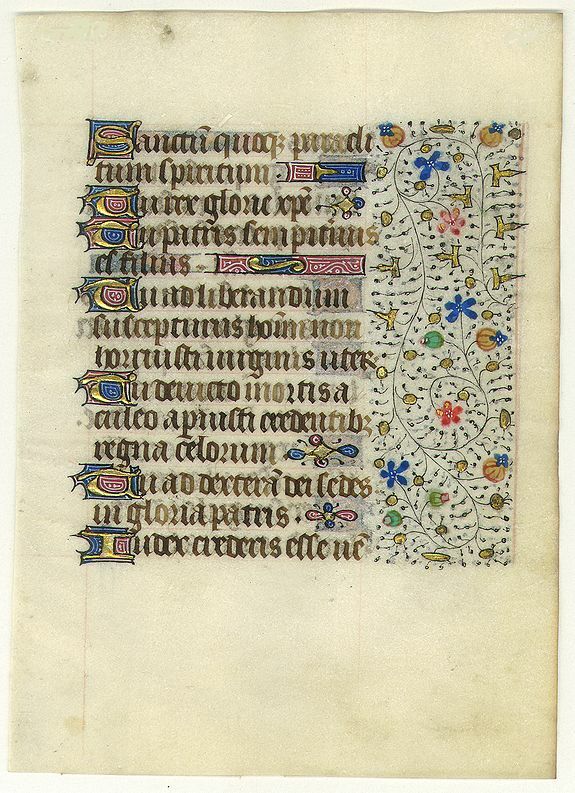 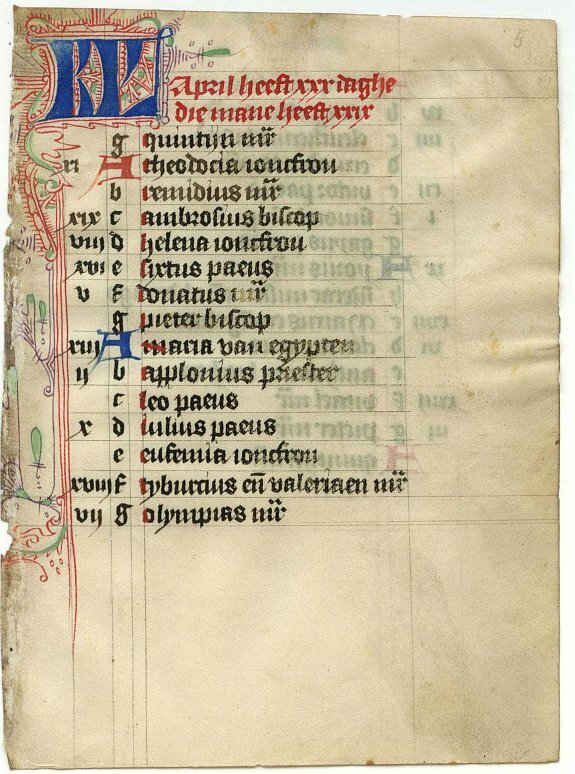 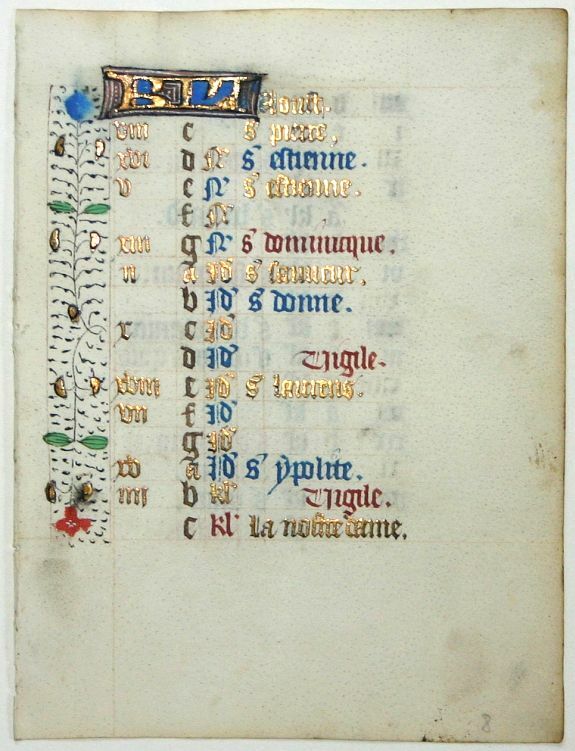 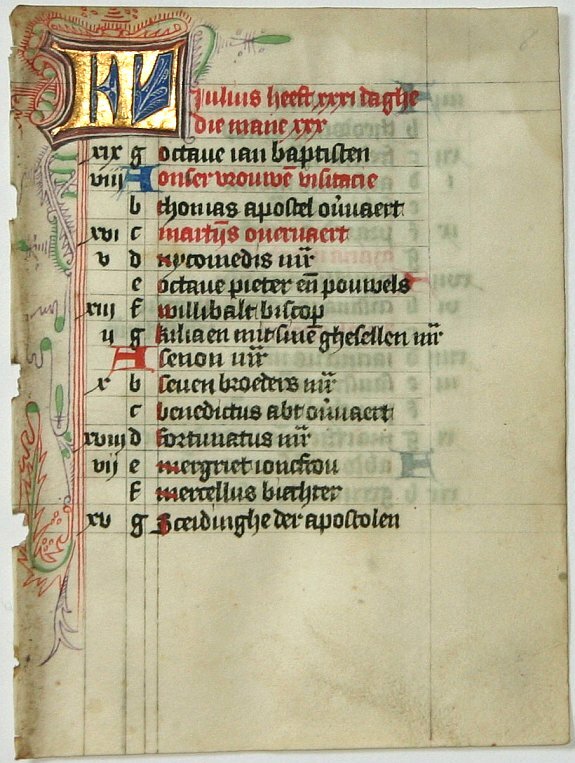 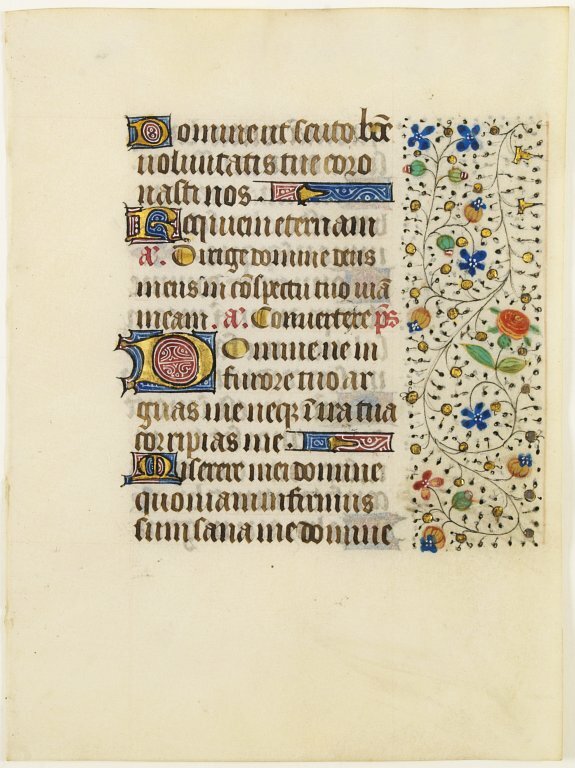 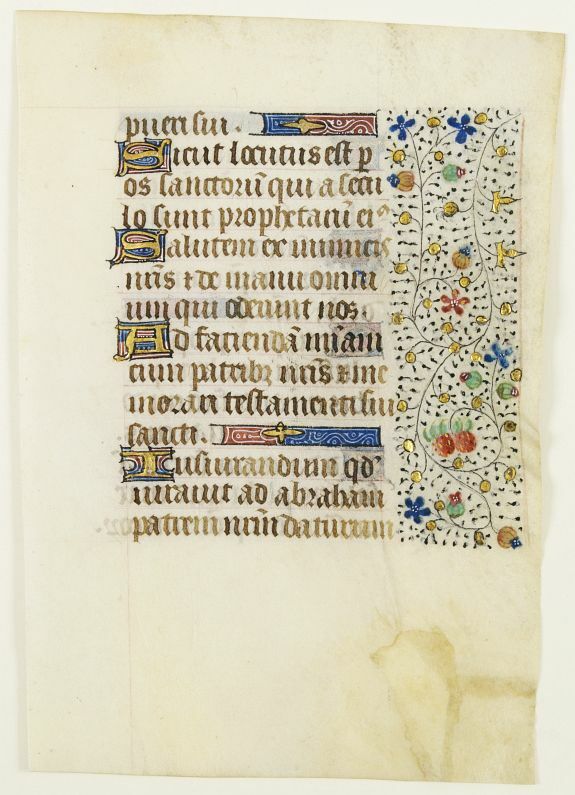 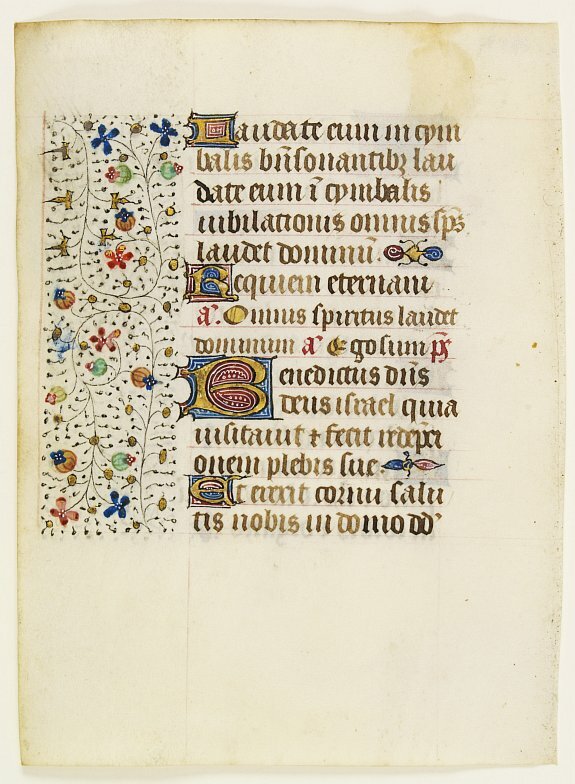 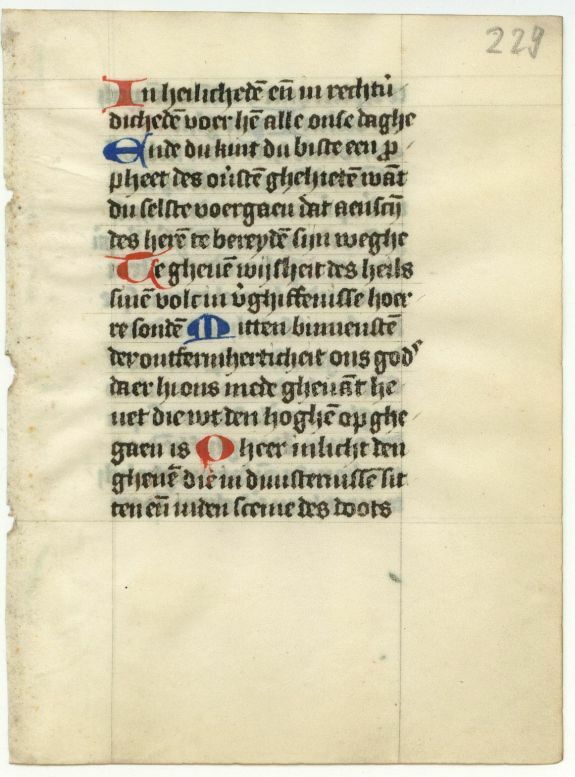 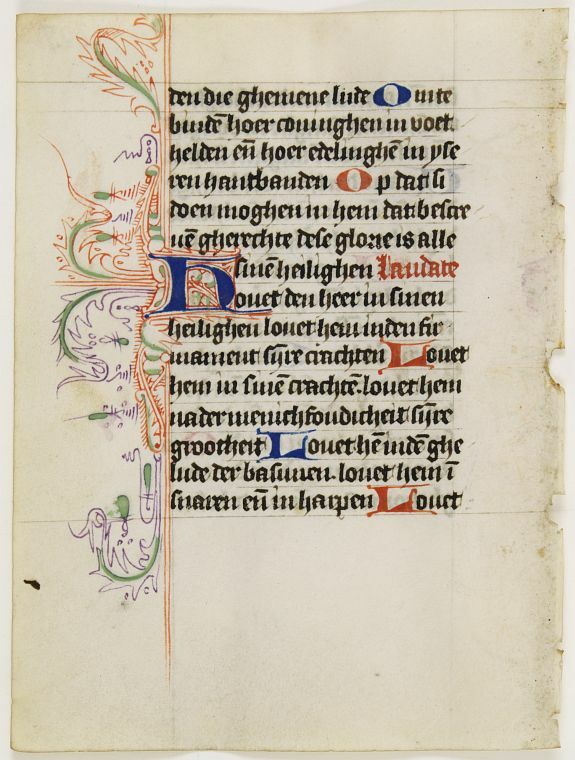 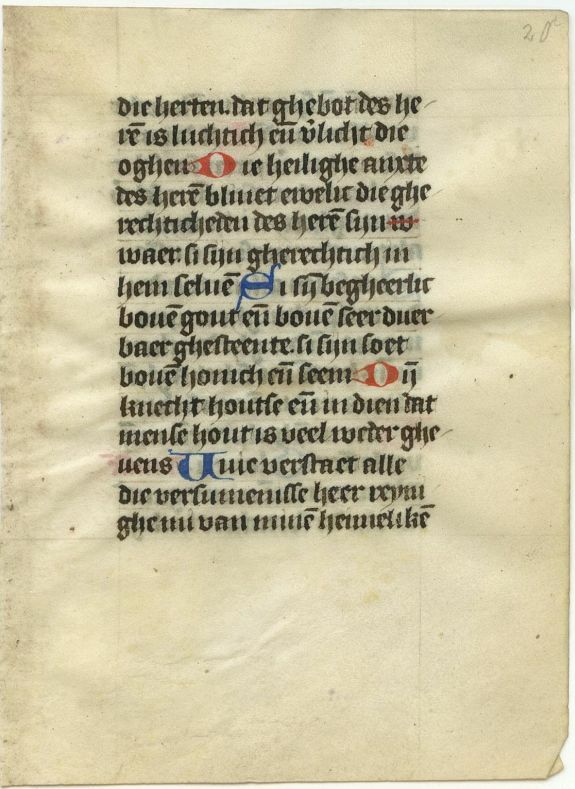 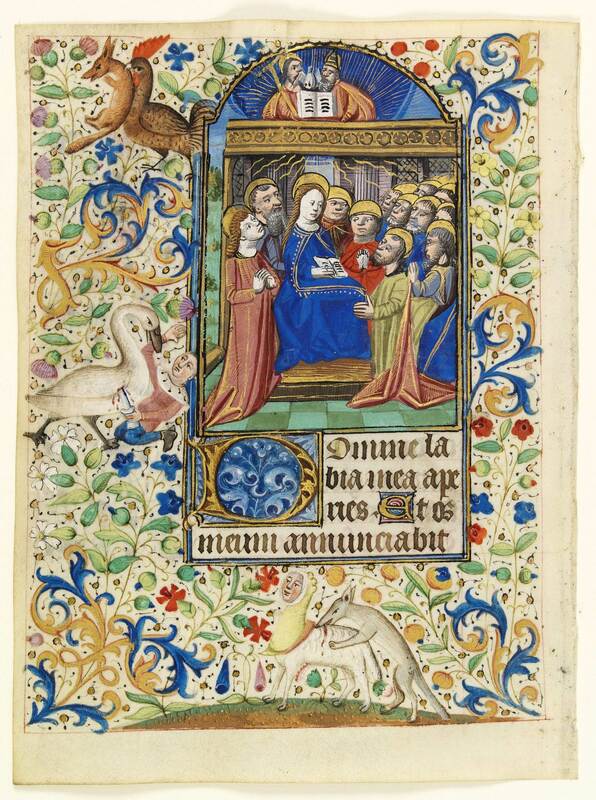 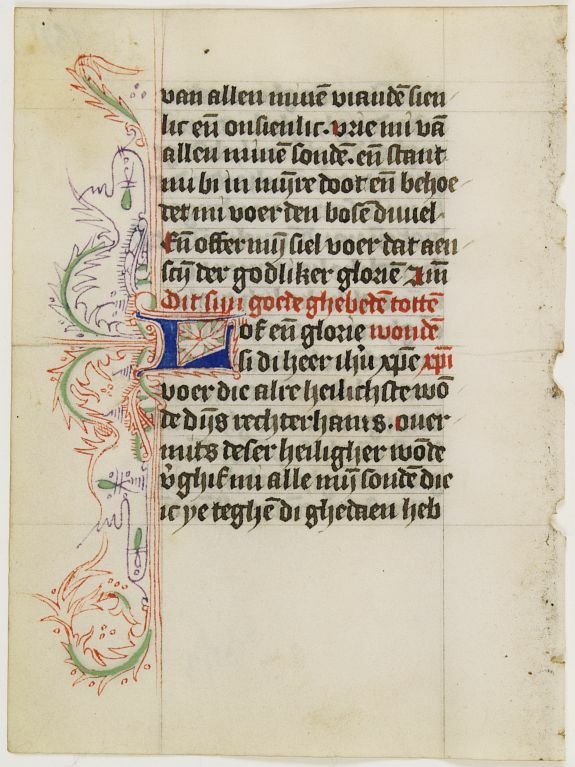 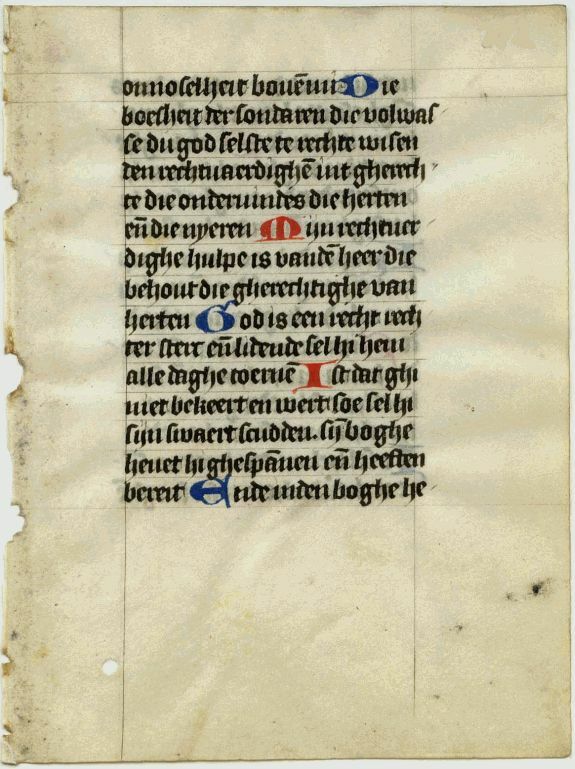 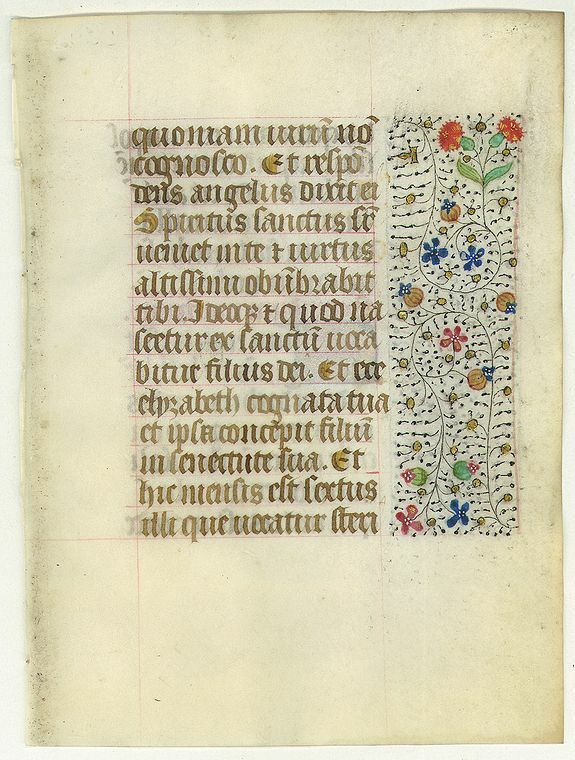 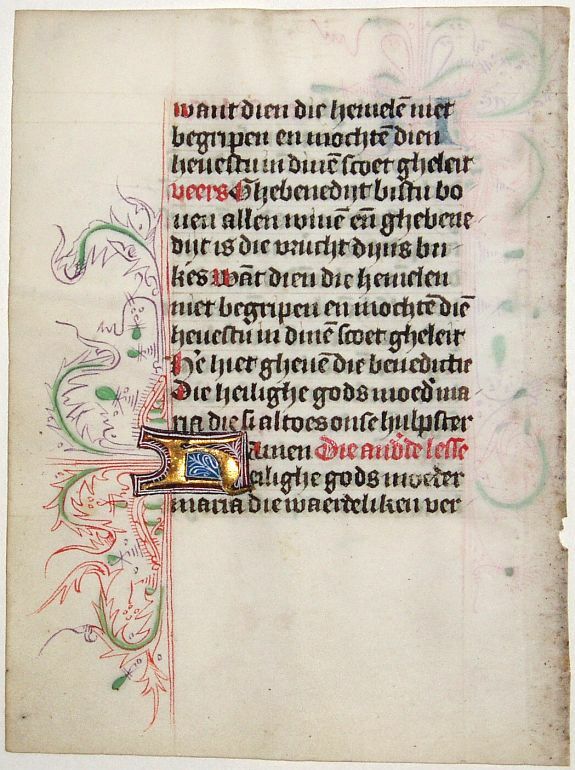 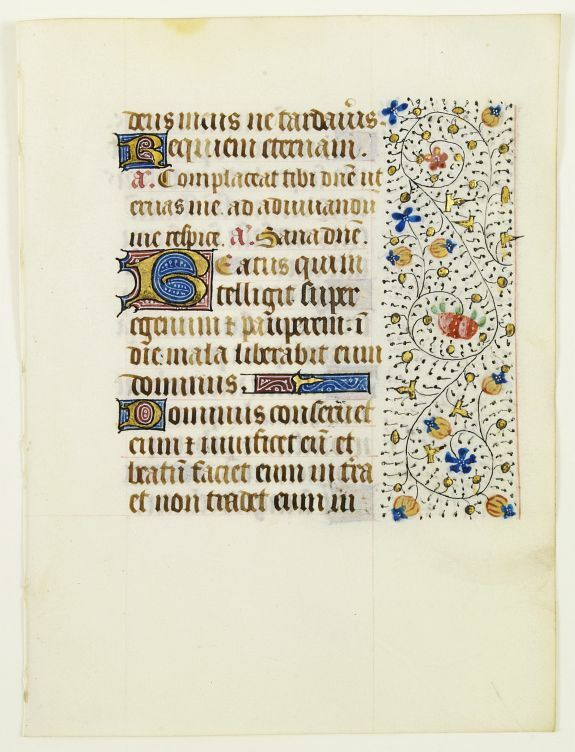 A wonderful vellum leaf from a Dutch Book of Hours. 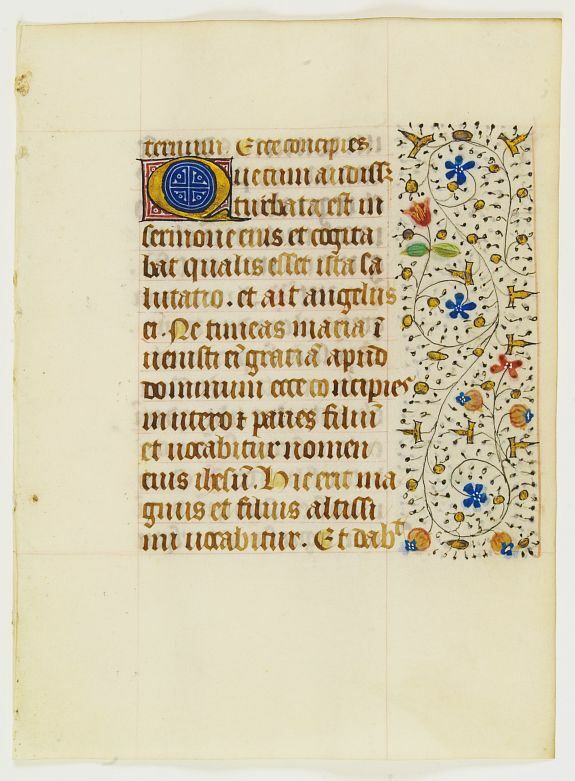 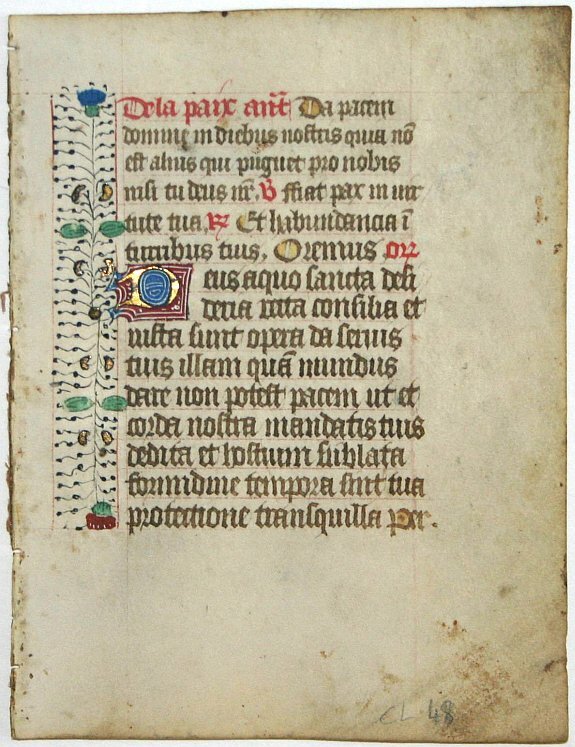 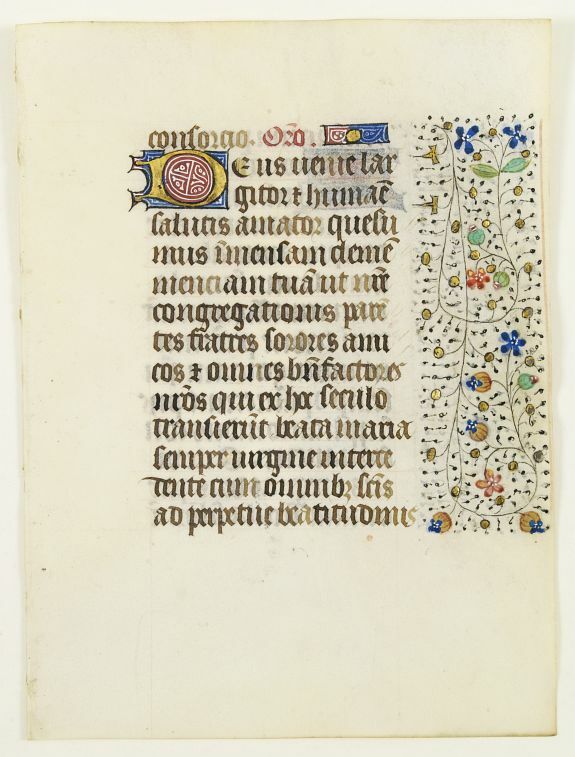 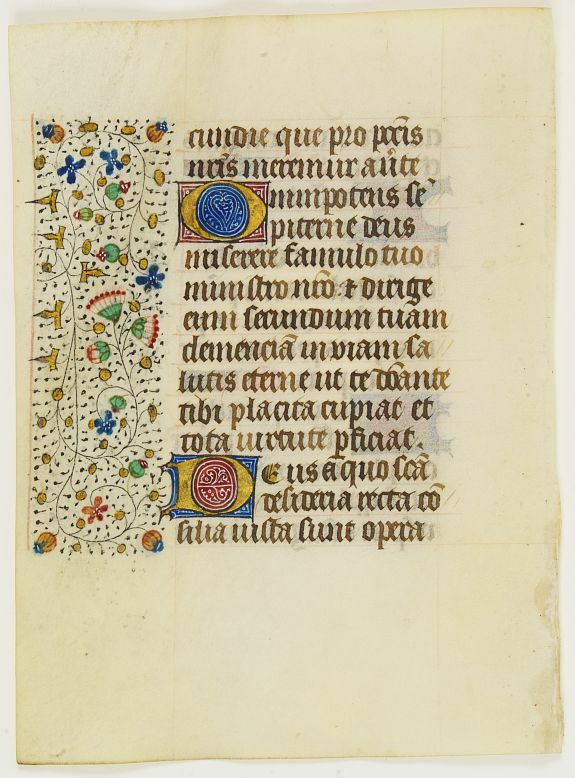 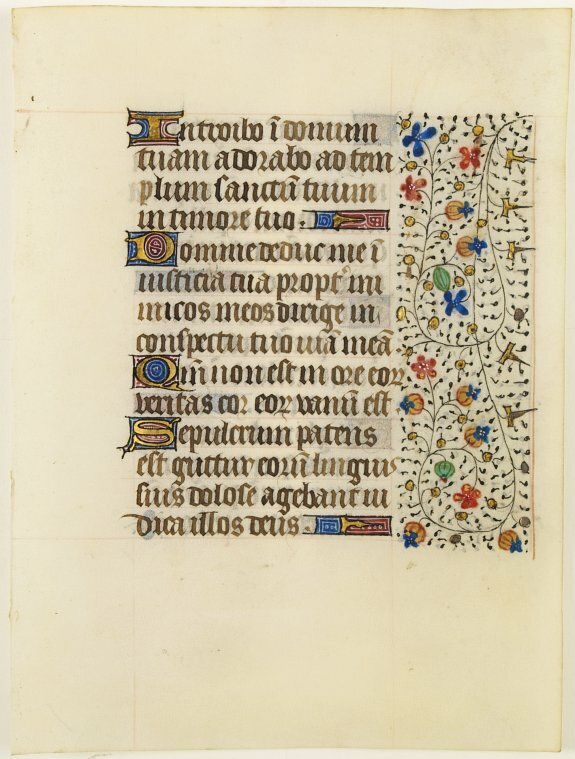 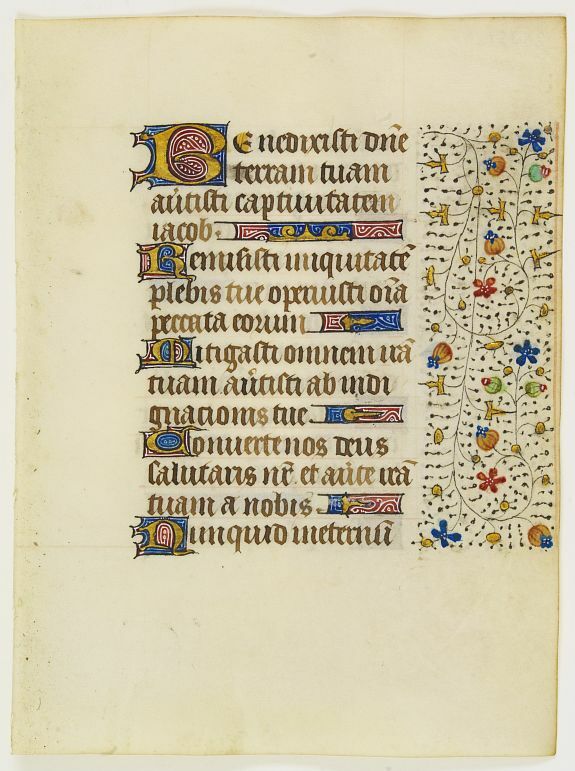 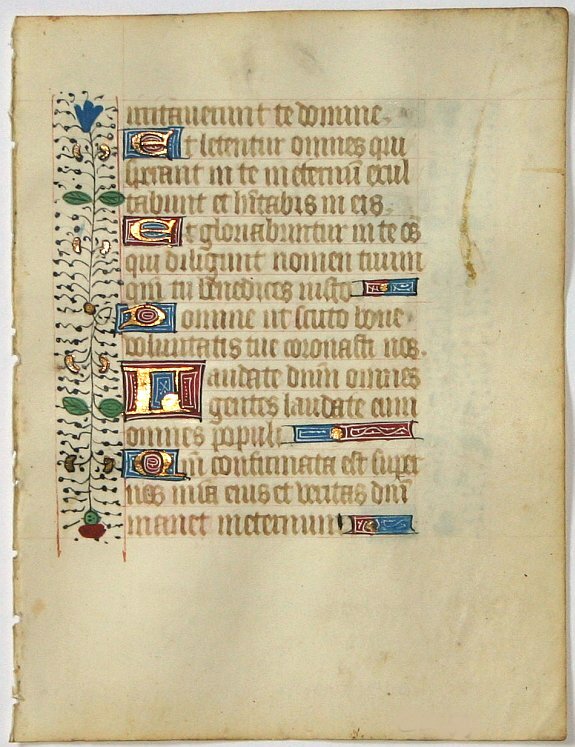 Leaf on vellum from a manuscript Book of Hours, use of Rome. 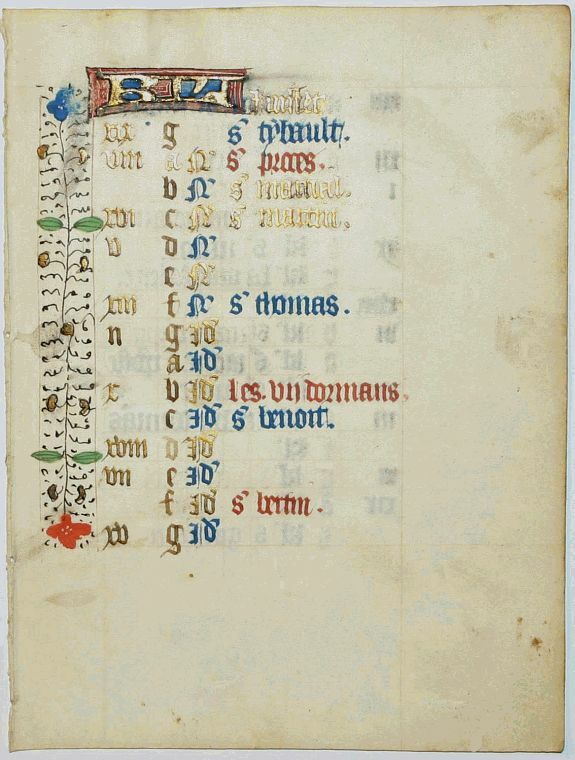 FRANCISCAN BOOK OF HOURS, USE OF ROME. 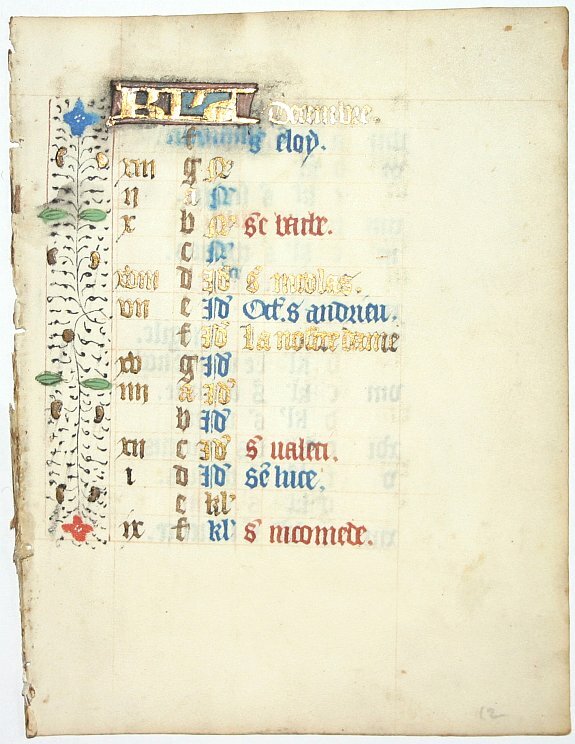 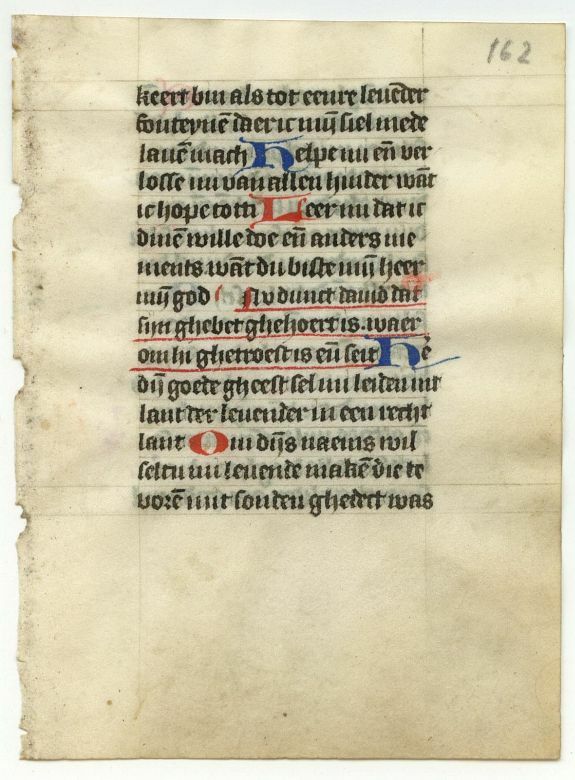 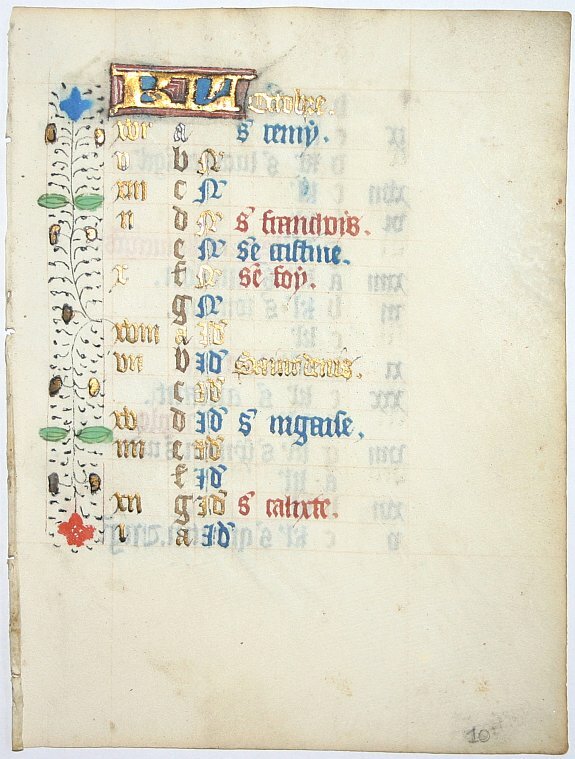 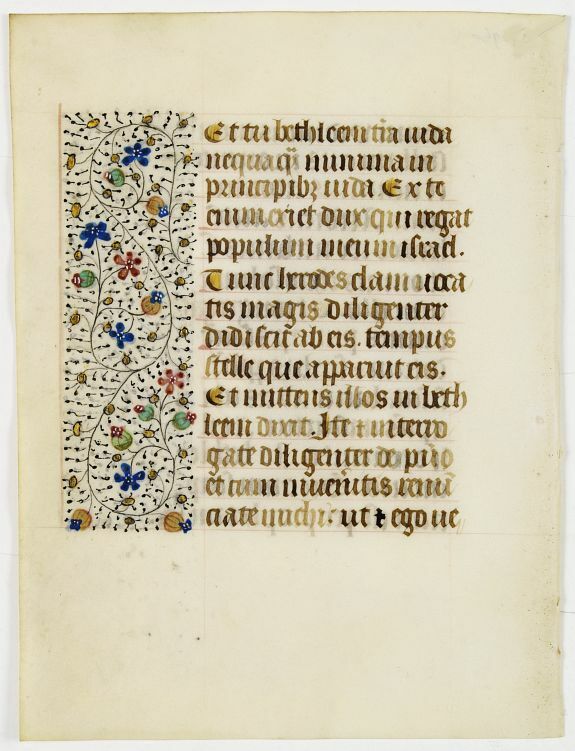 Leaf on vellum from a Dutch manuscript Book of Hours.